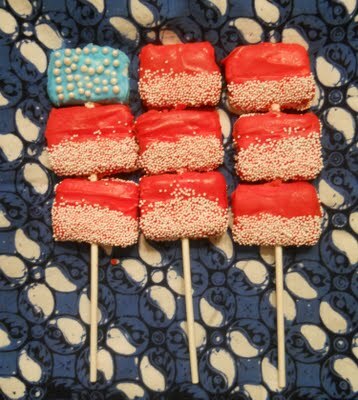 Not much time left to get ready for the 4th. 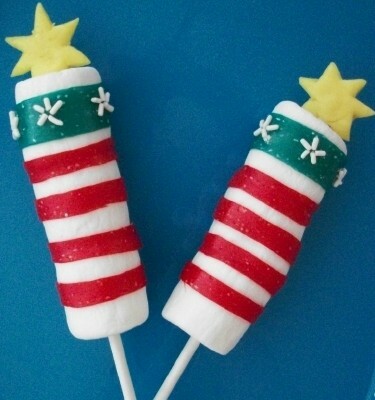 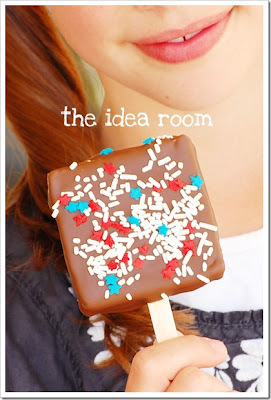 Here are some fun, kid friendly, treats that are easy to put together and fun for the 4th. 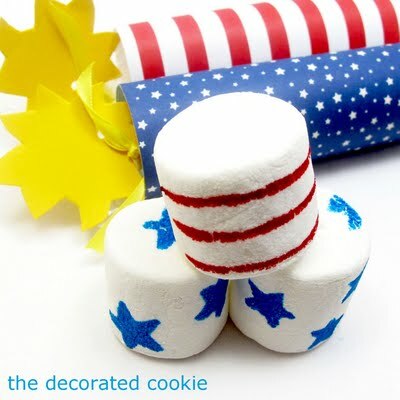 Kitchen Fun With My 3 Sons and The Decorated Cookie both created fun marshmallow firecrackers for the 4th. 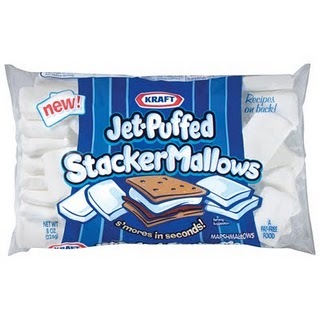 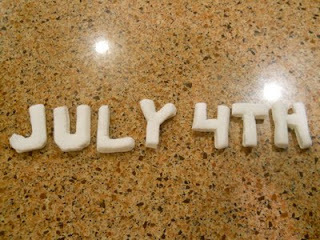 Are you making any marshmallow treats for the 4th?